After sitting vacant for several months it looks like a new restaurant is opening soon in the former Subway space at 1500 Northwest Blvd. in Coeur d' Alene. Subway as you may recall moved this location to a new building on Sherman in Downtown CdA. The restaurant, planned for the high traffic location is Philly Express. They are a locally owned and operated business that's already known for serving up some delicious and big Philly Cheesesteak sandwiches from a space inside the Silver Lake Mall. Philly Express plans this new location to be a second location with the restaurant in the mall also staying open. Hiring for the new place is underway, it will have both dine in and carry out in a about 1800 square foot space. The new Maverick on Market is of interest because the lot it will be built on is occupied by a couple of run down buildings that will be removed for the new business. That location's construction planning documents include a rendering of their proposed signage that includes the Cinnabon name and logo implying it will open with a Cinnabon location inside of it. The location at 1019 E. Francis is the one we've been getting a lot of e-mails about because it is going into the site where Spokane Boys had sat for many years. Spokane Boys is shifting their operations to another part of their lot and not going out of business. Foundation and site work is happening now for a new building at 711 N. Helena, just north of Trent in Spokane. The building which is being built by Beacon Builders, LLC is owned by Kevin Longmeier. The plan is to build a new modern building from the ground up for tenants. One tenant being Crossfit Duratus who will move to the new space from 1303 N. Washington and another 2000 square feet space in the gym is currently up for lease with Goodale & Barbieri Company acting as the listing agent. And, for more information about Crossfit Duratus visit- http://www.crossfitduratus.com . They will remain open with several daily crossfit fitness classes at their N. Washington St. location till the new building opens this Summer. It wasn't too long ago that The Institute for Physical and Sports Therapy moved into the their new home at 11402 N. Newport Hwy in North Spokane. But now, while their business is staying put, big things are planned for their building. The space will either be leased as a whole at 3,000 square feet or in 2 1,500 square foot spaces. Give them a call at 509-464-1813 for more information. DSpokane's newest link to Russia and Eastern Europe is now open for business in the Greenacres Shopping Center at 18203 E Appleway. Malinka Euro Market is a full European grocery store with some gifts and absolutely delicious looking cakes and baked goods and they're open seven days a week. Sushi Sakai is locally owned and operated and already has 2 locations open for business. One near Gonzaga University on the Boone & Hamilton corner and another at 11420 E. Sprague in Spokane Valley. In April Sushi Sakai will add the former MacKenzie River Pizza Co. space at 818 W. Riverside in Downtown to their location list. The new Downtown Sushi Sakai will be decent sized with just over 4000 square feet, it is to be similar to their other locations. Each serves a menu of many sushi rolls, among the freshest in town with generous cuts. The restaurant will also offer some Japanese and Korean dishes, offer take out and will have a bar. They will have a new website soon at http://www.sushisakai.org . In the mean time more info can be found on their Facebook page by searching for Sushi Sakai. Not much is known as of today about what the future holds for the vacant Otis Hotel building at 110 S. Madison St in Downtown Spokane. But if the documents I've un-covered are any indication we might be seeing a re-birth of the building that today is more famous for being used in the TV show Z Nation then any sort of permanent occupancy. But just a few days ago a " pre-development conference " application was filed for the Otis showing a renovation plan for the building. Under that plan construction would start in about July of this year to create a new mixed use development. Newly renovated commercial space would occupy the first floor and apartments on floors 2-5. The plan calls for just over 100 apartments, all studio and one bedroom units, likely using the micro-apartment style as the floor plans show the smallest apartments being in the 250 square foot range. The Otis has been vacant since 2007 and was last used low income housing but was originally opened as a hotel in 1911 with a restaurant on the bottom floor. That bottom floor space will return to commercial use under the re-development plan but there is no mention of what kind of business would be there. Keep watching this site as we expect a more formal announcement about this building in the next couple of months. A brand of hotel with no locations as of yet in the Inland Northwest is planning on opening a franchise here in the coming months. That brand is Staybridge Suites and they are a part of the much larger Intercontinental Hotel Group ( Holiday Inn is included under this parent company ) . They are still in planning phase for their first location here so no opening date is set yet and construction at the site likely won't start for awhile. Staybridge Suites will open in Coeur d' Alene near the main entrance to Riverstone, just off of Northwest Blvd. The hotel is expected to occupy the entire lot immediately to the north of McDonald's and will offer 96 suites on five stories. Plans also call for the hotel to have an indoor pool , fitness center , complimentary breakfast , wifi and more. Staybridge Suites are a more apartment style suite hotel with suites including kitchens , similar to Residence Inn hotels. The chain has been in business since the late 1990's but has really seen more aggressive expansion in the last few years. Currently the brand has over 220 locations and another 114 are in development. This new hotel would be the second hotel to be purposed with a short stretch of the Northwest Blvd. corridor north of Downtown Coeur d' Alene. A Fairfield Inn & Suites is behind their original schedule but is apparently still planned near the Northwest Blvd. / US 95 junction. 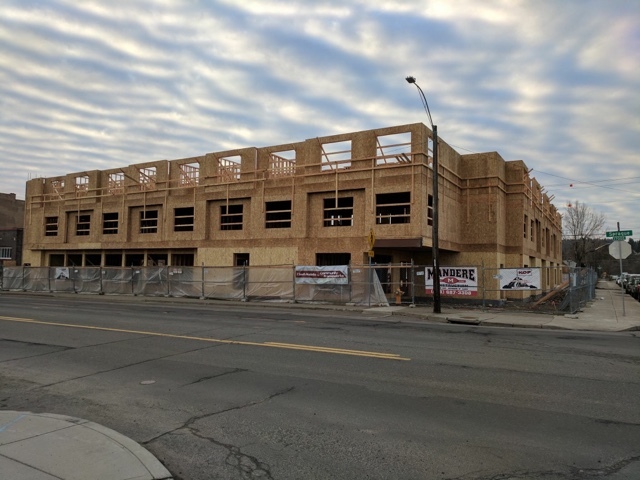 These projects will likely help alleviate the high occupancy rates hotels often hit in the resort city during the warmer months. And, keep watching this posting as we hope to have more information like renderings and timelines soon. Radio Shack, a Fort Worth,TX based chain of electronics stores unfortunately filed for bankruptcy protection earlier this month. This is their second time filing after the company entered and successfully exited bankruptcy in 2015 but not before shedding some 2400 stores nationwide. Both of these locations will host clearance sales which have already started. And good news is neither will become vacant. This because after Radio Shack's last bankruptcy their existing stores became half Radio Shack and half Sprint cell phone store. In the case of both of these locations they will just become Sprint locations. However it is not mentioned if this means employee lay offs or not. For the time being Radio Shack will also maintain 2 Spokane locations, even though this round of closures leaves Coeur d' Alene with no locations. The 2 local Radio Shacks not included in the closures ( but, this may change... ) are at Lincoln Heights shopping center ( 2829 E. 29th Ave. ) and 13516 E. Sprague Ave. in Spokane Valley. Note: This article is developing and will probably be updated again in the future. South Hill Senior Living, the current assisted living center tenant of Spokane's Cooper George building is closing it's doors. They will leave the building at the beginning of May and staff and the state is currently working to find new homes for center's resident's, many of which have already relocated. We have discovered that the Cooper George building, a 13 story building built at 707 W. 5th Ave, will be converted into a multi family apartment complex. Renovations will likely start this spring or early Summer with a new owner at the helm. The building will now be owned by an un-named Oregon based developer who is using the name Cooper George,LLC . At this point not much is known about the apartments themselves to be built in the building but there will be a full remodel before the complex opens. The developers plan to add a fitness center and split up the historic high rise into about 144 apartments. The building, when it re-opens will likely be in high demand as it will be just blocks away from Downtown with some apartments likely having views of the skyline. The neighborhood is also adequately served by a few STA bus lines and surrounded by some of Spokane's largest employers. Keep watching as we'll likely have more on the project, like apartment features , rent rates and opening date in the future. Goodwill Industries of the Inland Northwest's newest thrift store location is about to open for business. This new Goodwill is a part of a redevelopment of the former Albertson's grocery store at 1617 W. Northwest Blvd. There Goodwill will occupy about half of the original store building with about 20,000 square feet of both retail space and a donation / processing center ( the store side is about 10,000 square feet ) . Goodwill splits the building with a new location of the Planet Fitness chain of fitness centers. A pre-grand opening sale is going on now for Planet Fitness and they are to open their side of the building sometime around the end of this month. A new Carl's Jr. restaurant is also planned on a pad site in the parking lot. As is couple of other commercial spaces that will probably be on the part of the lot where Albertson's once operated a gas station. The building and entire site have been vacant since Albertson's closed that store in 2011. The official grand opening celebration for Goodwill will be on Friday, Mar 17th from 9am - 8pm . Customers during the grand opening can enter to win a $50 Goodwill gift certificate. Spokane Indians mascot Otto will also be there from 9:15 - 10:15 for photos, and Kiss 98.1 will be broadcasting live at the store from 3-5. Goodwill Industries of the Inland Northwest also currently has another store under construction over in Post Falls. That location on Hwy 41 & 16th Ave. should be also be opening in the near future and is actually a larger new replacement for the currently Post Falls Goodwill store on Seltice Way. We'll have a separate post about that store when we know more. It's a bit of a controversial project as it involves the demolition of 5 homes, a commercial building and a drive though coffee stand. But, Washington Trust Bank is moving forward with what they believe is a project that will benefit the South Hill neighborhood that it is to be built in. The project calls for a site on the east side of the 3100 block of S. Grand to be redeveloped into a new branch for the bank , a restaurant and a surface parking area. This site is just feet away from an open for business branch of Washington Trust , which is smaller then the new planned branch and outdated. That branch will be relocated to this new site once it completed. A new modern looking bank branch would be on the northern side of the site, directly at the corner of 31st & Grand. A driveway would be installed mid block to access the parking which would be on the back portion of the site. To the south at the corner of 32nd & Grand is where a new restaurant will be built although the name of that restaurant has yet to be released or even when that might get built. There is no set opening date for the new bank location and no known timeline for the removal of the homes. However Washington Trust Bank has filed for permit with the city for demolition and grading at the site. It is said that the homes they plan to remove we're all vacant or rental properties, although they do have a significant history which is part of the reason behind the controversy on this project which has many of the site's neighbors upset over the news of this project. Sure these maybe just rumors but I figured I'd give this a try. And, ask my amazing readers if they have any credible information on if a new store is coming into the former Albertson's store at 37th & Grand on the South Hill ??? A couple of weeks ago we shared that a Utah based construction company, that does build outs for the Sportsman's Warehouse chain was named on a building permit for a building in Spokane Valley. Albeit a bit un-usual as Sportsman's Warehouse had a store in the same general area that closed a few years ago when the chain exited the Spokane retail market. But, now we can confirm our suspicions that Sportsman's Warehouse will be returning to Spokane Valley. This new Spokane Valley Sportsman's Warehouse store will be on the other side of Spokane Valley Mall from where their old store once was. It will be inside the former Sports Authority store building at 15118 E. Indiana Ave. . According to permits the new store will be about 32,000 square feet total and we are waiting to hear on an opening date and how many will employed there. This will be the chain's second store to re-enter the Spokane market after another location opened at 6720 N. Division, which has been open since 2014. Sportsman's Warehouse is a Midvale, Utah based outdoor sporting goods store. The chain specializes in hunting, fishing , camping and other outdoor recreation merchandise . They operate stores in a total of 18 states and growing once more. They also did recently open another store in our region on N. Stratford Rd. in Moses Lake. An exciting new restaurant, with a health conscious twist is in the works along US 95 in Coeur d' Alene. Remodeling work started recently for Cosmic Cowboy Grill which will be in the former spaces of a wig shop & a photo framing business at the Appleway Square shopping center. The new restaurant will completely renovate the space and open with and all new look designed by HDG Architecture of Spokane. The restaurant's address will be 412 W. Haycraft Ave. and they hope to be open for business sometime around the end of April . The restaurant will be in the " fast casual " style and will feature a menu of salads , soups, bowls, sandwiches , wraps and even a few entrée type items. All items will be prepared fresh and will be healthier then most other restaurants. In fact some of the their menu items will even be gluten free, Paleo, vegetarian , vegan and / or low carb. Ironically, Cosmic Cowboy's location is just walking distance away from a row of fast food restaurants close to I-90, which means their opening will also give travelers an alternative to quick , greasy burgers & fries. 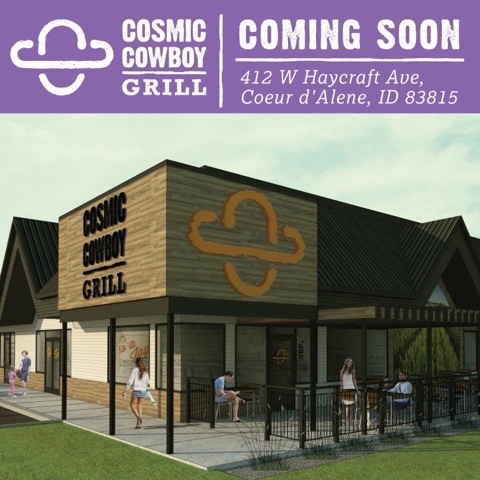 Cosmic Cowboy Grill also plans to work along side Coeur d' Alene's active fitness / race community with special menus around race times and other support. Their dining room will be open and able to host groups both large & small and orders will be cooked in full view of the customer. Their restaurant will also offer online ordering, ample free parking and a patio for outdoor dining during the warmer months. Hancock Fabrics closed it's doors of all locations last year, including the one at 1020 W. Francis in North Spokane. And, with the exception of a stint as a seasonal Halloween retailer that space, which is located close by the corner of Francis & Monroe, has sat completely empty. But this Spring that will end as a new locally owned and operated fitness center is making plans now to open in the space. Fitness Northwest is that center's name and they are hoping to open sometime in May and membership pre-sales could begin this month. Fitness Northwest joins a long list of recent fitness center openings around Spokane but is one of only a few non-chain businesses. Fitness Northwest says they are committed to promoting and supporting a healthy community in our area. They plan to offer good quality equipment, knowledgeable trainers and staff and customized programs for every level of fitness from beginner to athlete to senior. Their new space once opened will feature both equipment and weights. In addition to circuit training , turf and name brand group fitness classes . There will also be on site locker rooms with showers, day care services and even a juice bar. The Fitness Northwest fitness center will occupy an estimated 13,000 square feet of space and will be fully remodeled for clean, more modern look then the empty mid box store space that the space has had in recent months. New life is coming soon to the corner of Stevens & 1st in Downtown Spokane. The building on the southeast side of that corner ( 101 S. Stevens ) will soon be home to a locally owned and operated boutique real estate agency. 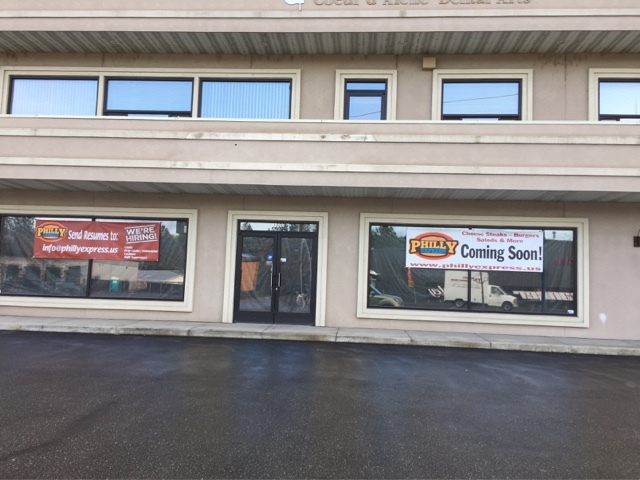 Scout Real Estate, which is small brokerage selling primarily residential is currently actively renovating the space which has been vacant for quite sometime. They will occupy 800 square feet on street level of the 3 story building. The upper floors, which are currently in empty shell state are also up for lease via NAI Black. Currently Scout Real Estate has just a small staff and with the new space they are planning on hiring 5 new brokers. Scout promotes themselves as a locally owned, community minded brokerage that provides quality and tailored services for both buyers and sellers. Two local health care businesses are the first to open in a newly completed 11,000 square foot medical office at 5905 N. Mayfair in North Spokane. The businesses are Spokane Occupational & Hand Therapy and their sister business Inspire Physical Therapy and they will share space on the ground floor of the new 2 story building. The upper floor is empty and still available for lease. Together the businesses occupy 6000 square feet of clinic space. The hand therapy office is moving to the new space from an office nearby on E. Central Ave. . 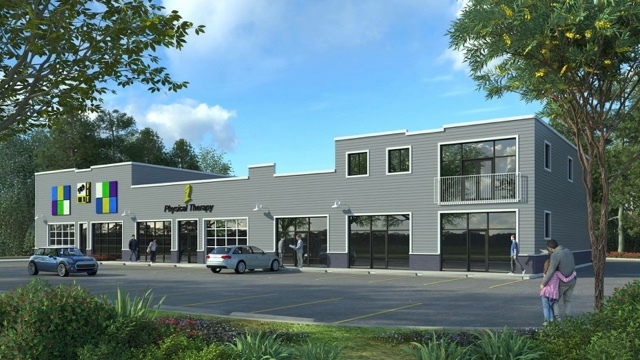 This is their 3rd location and all clinics have now been combined with Inspire PT to offer both hand and physical therapy services all under one roof. Each of their 3 locations have about 10 employees provide post-surgical , sports injury rehab and care for most any condition. With the new location for Inspire Physical Therapy they have hired Grant Lundburg, DPT who will be the primary clinician and clinic director. Both businesses are part of Sipe Therapy Group owned by Sean Sipe , PT, DPT, SCS . Sipe also owns a number of other clinics in Western Washington. This new North Spokane clinic space allows for new modern equipment , plentiful free parking and flexible appointment scheduling. The closing will directly effect the Spokane / Coeur d Alene area as Vanity had 3 locations in our area. Those stores we're inside Spokane Valley Mall, Northtown Mall and Silver Lake Mall over in Coeur d' Alene. Like most of the recent retail store closings the company does say the bankruptcy is largely due to stiff competition from internet retailers. The Ivory Table will temporary close down their storefront café at 1822 E. Sprague . This will happen during this Summer's planned major construction to renovate this section of E. Sprague. The business itself will still be operating however with a bigger focus on catering , private parties and special events . This temporary closure hasn't happened just yet however so as of today The Ivory Table is still open for business. The Ivory Table is a locally owned and operated café with sandwiches , salads and a big variety of crepes . After 15 years in business White Box at 1215 N. Ruby has closed down their shop, near Gonzaga. While they are leaving the cafe business but they are not completely abandoned the business, which is famous for it's White Box Pies. They say to watch their website at http://www.whiteboxpiesbakery.com for their future as they point out they may do farmers markets and / or online orders at some point. After months of permitting and then construction the Panera Bread chain has finally opened for business at their first restaurant to fall within the city limits of Spokane ( their other area locations are in Spokane Valley & Hayden ) . This new Panera Bread is located at 6550 N. Division out front of Lowe's. The new Panera Bread location has more modern style, 5100 square feet of space and about 65-75 employees. Turns out this Cosmic Cowboy Grill will take over a completely remodeled strip mall section that was formerly a wig shop and picture framing shop. The business will be a fast casual concept that serves sandwiches, wraps, "creative" salads and desserts. They will offer these items made from locally sourced grilled to order meats and farm fresh vegetables . 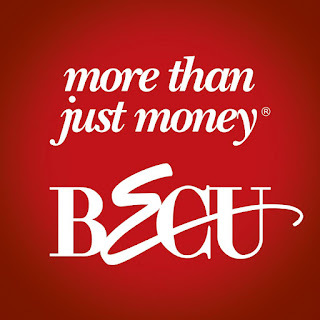 Just a few months after BECU ( Boeing Employees Credit Union ) officially opened their first Spokane area locations we now know where their 3rd local location will be. Their first locations are at 615 N. Sullivan in Spokane Valley and in the 900 block of N. Division near Downtown Spokane and marked the first time BECU had opened locations outside of the Puget Sound region. This new BECU location will be in North Spokane in a planned to be built building at the corner of Newport Hwy & Holland Ave. , just north of the new Costa Vida . This new financial center will be about 3000 square feet and will feature all of BECU's services. It will even include a home loan center for expanded mortgage services . BECU has over 1 million members, $16 billion in assets and growing quickly. Membership is open to anyone who attend school , live , work or worship in the State of Washington. Also, of note the building BECU will be in will also have approx.. 7500 square feet of space for future restaurant/ retail space, no tenants have been announced for that section of the project. SmartRecruiters , a San Francisco based tech company that offers products that employers use to hire employees has chosen Downtown Spokane for a new office. The company which has offices in several international locations will use the Spokane office primary for sales and will employ about 10 people with future expansion possible. A brief remodel will be done with an office opening to happen sometime in March . It will be located on the second floor of the Legion Building at 108 N. Washington St. . The company has cloud based solutions that help HR managers find, attract and hire the best people. Among SmartRecruiters customers are Visa, Aloca, Skechers, Bic and more . The company says they chose to expand to Spokane because of it's great talent, universities and affordability . The company points out this new office will open many doors for the community and the company itself .